Major infrastructure repair work on Marie-Victorin Boulevard between Cloutier Street and Iberia Avenue in La Prairie took place in the summer of 2014. Estimated at $ 1.7 million, this repair works include replacing the drinking water pipe, the installation of a new storm sewer as well as sanitary sewer repair. As a result of which it was necessary to reconstruct the pavement. 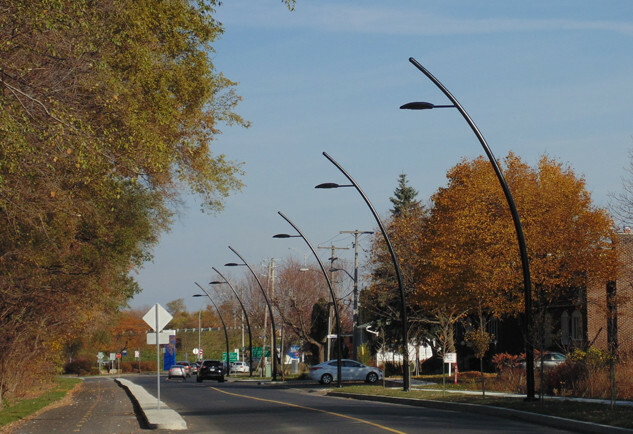 The municipality also took the opportunity to change the plot of the road, include traffic reducing measures, build a new sidewalk, install a decorative street lighting and introduce new landscaping. An important objective is the upgrading of the cycle path to the criteria of La Route Verte. Quattro Lighting provided a traditional and a contemporary solution. The existing lighting consists of Cobra style fixtures with 8’ arm mounted on wooden poles. 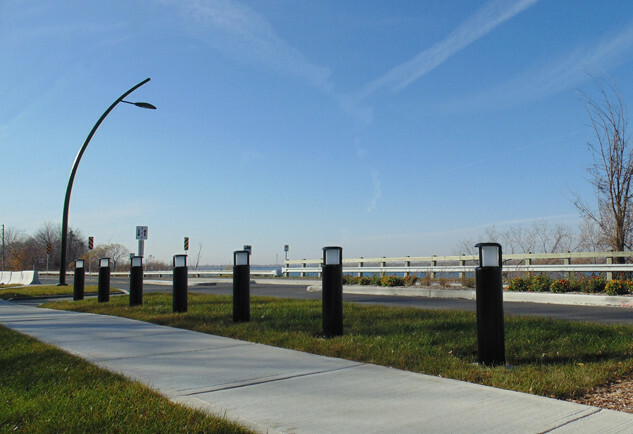 Although the existing HPS lighting provides adequate levels, the goal was to create a more pleasant and safe a reaf or cyclists and pedestrians. The contemporary Adelo Series was chosen and installed on a curved aluminum pole recalling the davit arm traditional look. The 99W ‘’white light’’ LED engine has solved the level, color rendering index of the light and energy concerns. 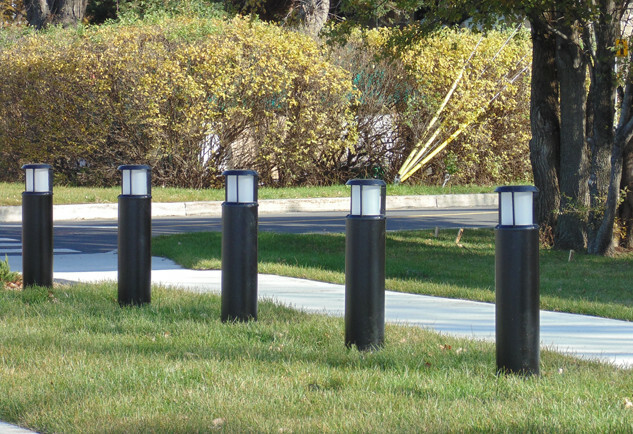 The full cut-off fixture provides a downward projection and creates a feeling of a safe, yet comfortable neighborhood. It also enhances public considerations towards light pollution and its unwanted effects on the Parc Sainte-Marie and the St. Lawrence canal.